It's home, and I never a wonder why. 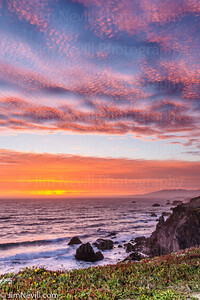 This gallery includes work from Sonoma & Mendocino counties of Northern California. I often feel appreciative to live where I do but days like this even more. Just a stones throw from my front door is this beautiful countryside, I drive by it almost every day and always think that in the right conditions it could make a great photo. 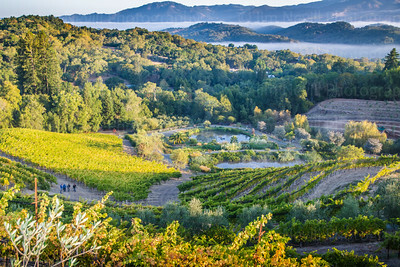 Dotted by redwood forests, vineyards, cow pastures and old farm houses this scene is so rich. Settled in a glacial valley it is often blanketed with a thick marine layer and most days it’s either blue bird clear or socked in foggy. 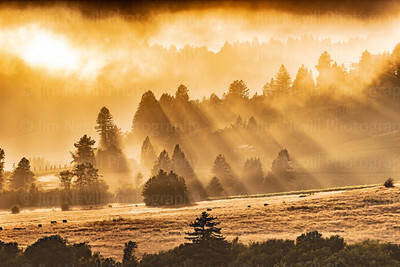 On this hot summer afternoon the fog burned away just enough to filter this awesome light though. 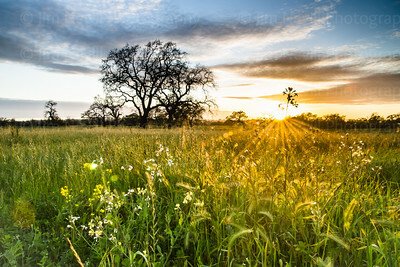 Early mornings in Sonoma County are unmistakably beautiful. This roadside view of Santa Rosa, CA and the mountain range near St. Helena is one of my favorite places to stop on my way to the coffee shop. 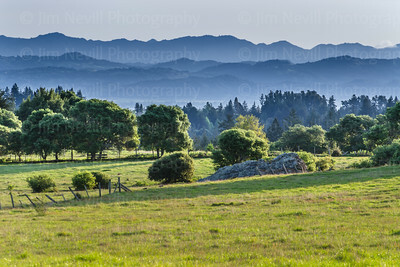 In springtime with early morning light, the light green pastures ignite with warmth while the distant hills and valleys remain cool blue when fogged in. 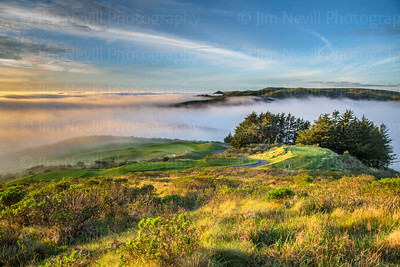 This is a panoramic view taken from the top of the Scottish style links golf course at Bodega Harbour. The shot is of the 4th green, the #1 handicap par 4 on the course, and the 5th tee vista. 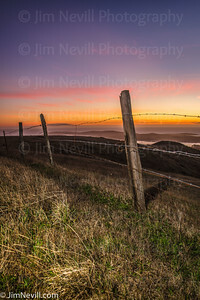 In the distance is the Sonoma County coastline, socked in with a sunset fog bank. 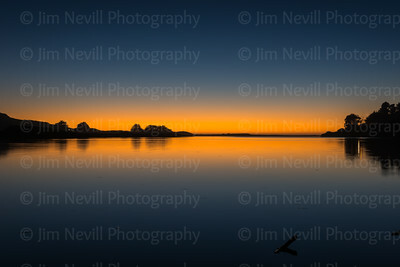 The photo is looking north, the sun is setting off to the west which very momentarily lit the scene as you see it here. On this day my son and I decided to go for a hike together at around noon. Most of the time, I write this time of day off for landscape photography but with the deep, dense underbrush and mammoth canopy stretching over 300' in some places the high noon light filtered through perfectly and gave me those subtle accents, highlights and a deep depth of field. 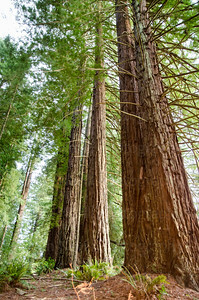 Allows the viewer to drift off into the intricate details in the distance of this old growth redwood preserve. This moment happened one amazing evening in January 2015. Incredibly, all of this vibrant color is real and no saturation or color correction tools were used in post processing. By setting up near the ground, a slight ways back from the boulders I was able to focus on everything in the scene, all the way back to the ridge line. 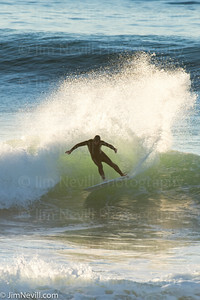 Nature needs no hyperbole and no Photoshopping, enjoy the reality. 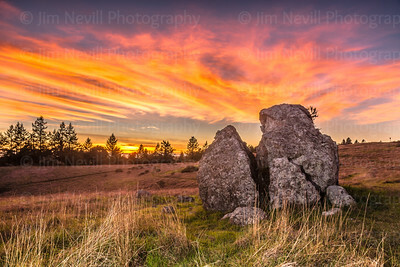 In the scene is a glacial boulder, Douglas Fir lined ridge, rolling hills and a native meadow. 16mm, f/13, ISO 100, 1/6th sec. An embattled and whimsical eucalyptus tree in coastal Sonoma County marks the end of an era. 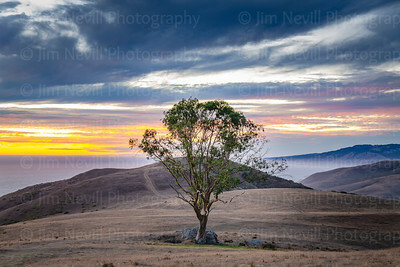 Where all of its peers have been replaced by wide open bovine grazing land, this proud tree lives on, no doubt eager to see another quiet sunset. 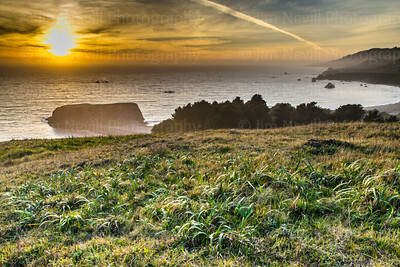 A calm evening near the mouth of the Russian River in Jenner, CA. Sonoma County, CA. (1/24/15). 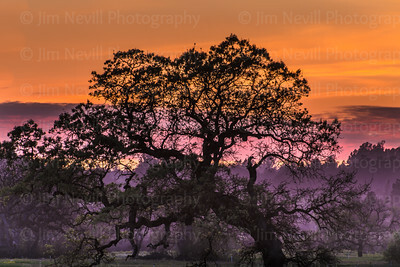 If I was stuck shooting just one subject for the rest of my life, I might pick an oak tree. Ideally it would be an oak tree in front of a perfect wave or huge mountains, but the shapes of these trees are just so diverse and interesting. Once a week, after school my son and I have a standing date, father-son day we call it. 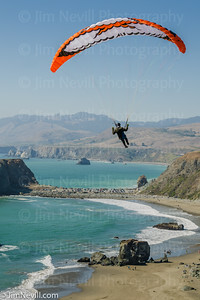 Our adventures range from going to the golf range, or the beach or occasionally a photo walk. By mid-afternoon on this day I saw that the cloud structures had good potential. I pushed for a photo walk, he was set on the golf range, non negotiable. By the time we finished putting contests (which he won) and hitting our buckets I knew it would be too late to make it out to the coast so I 'settled' for another inland area that I had a feeling might work out. Turns out, second best became first best - or better - one of the most awesome, color-filled moments I've seen all year. 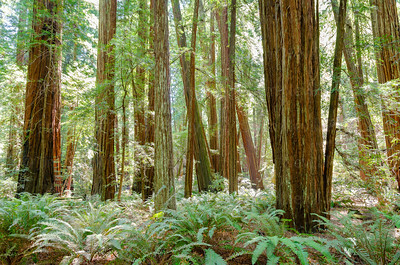 This image makes me feel like taking a stroll through this Pacific Northwest redwood grove after a fresh rain. The colors are always more vibrant when the wood is wet and this photo depicts the late morning sun trickling in to light the way. 9/27/15, the ‪#‎supermoon‬ eclipses over top of Sonoma Mountain, a vineyard and oak trees near Santa Rosa, CA. We made it a family affair, kids ate Chinese takeout on the roof of the minivan while we watched to show. It was pretty super. 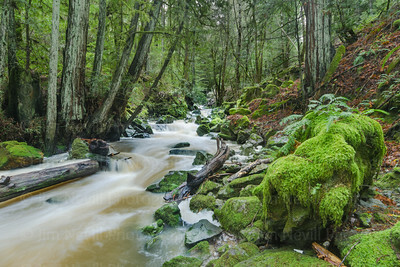 In Occidental, CA there are a number of watersheds that flood during heavy rains. In the summer they mostly dry up but during the winter months they run with fervor, heading to either the Russian River or Salmon Creek - both of which eventually reach the Pacific Ocean. This creek runs near a place that I used to work called Caritas, founded by a group of innovative women in the 70's who are among the pioneers of the environmental education movement. Imagine being a middle school student and learning concepts like water cycles, redwood ecology and hydrology at a place like this...a lasting impression is inevitable. 2:1 Panoramic of a favorite location of mine, a place I've seen hundreds of sunsets from. This was among my favorites. The elements with the oak and boulder adds weight and the soft skies balance the perfect coloration and pasture - just ideal prettiness. 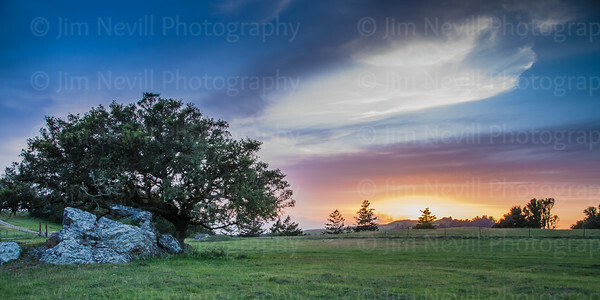 This wide angle photograph was taken eight minutes before my shot, "Sunset Oak". If you look closely you'll see the sunset oak tree in the distance, just beside the mustard bloom obscuring the sunset. 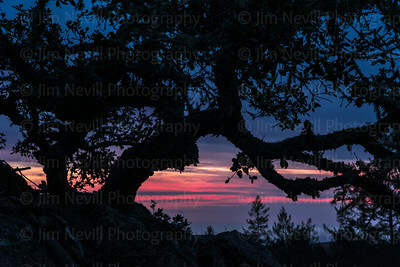 I switched to a 400mm lens to create the depth of field seen in Sunset Oak. Sunrise about the crest the fog bank that hovered below the Benziger Family Winery.